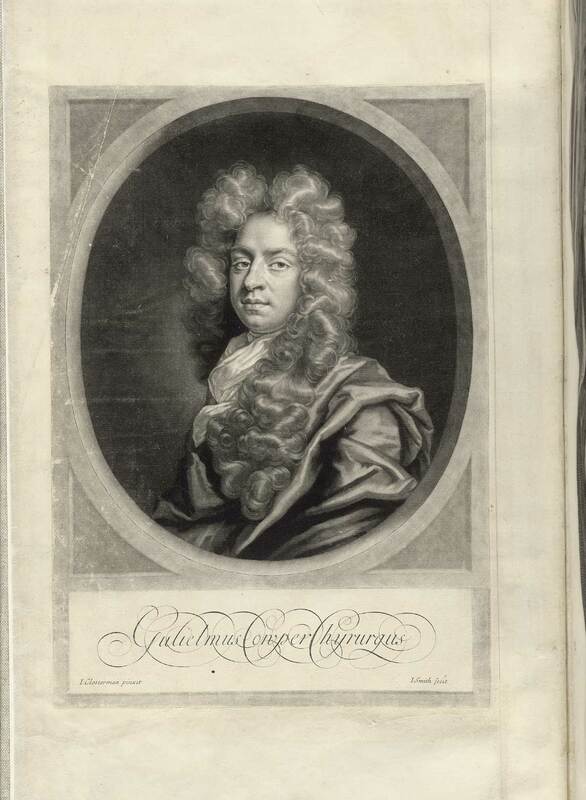 This mezzotint portrait of William Cowper was engraved by John Smith after an oil painting by John Closterman. It is signed by the artist and engraver in the bottom left and right corners of the portrait. Cowper is portrayed in a flowing wig, cravat, and robes. His name is signed delicately in a plate below his portrait, reading "Gulielmus Cowper Chirurgus" in Latin. Printed at the theatre for Samuel Smith and Benjamin Walford, printers to the Royal Society. William Cowper. The Anatomy of Humane Bodies. Oxford, Printed at the theatre for Samuel Smith and Benjamin Walford, printers to the Royal Society, 1698. 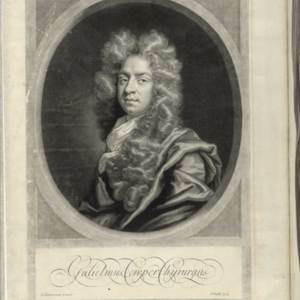 John Closterman (artist), John Smith (engraver), “Portrait of William Cowper,” U of G Omeka, accessed April 22, 2019, https://digex.lib.uoguelph.ca/items/show/2754.